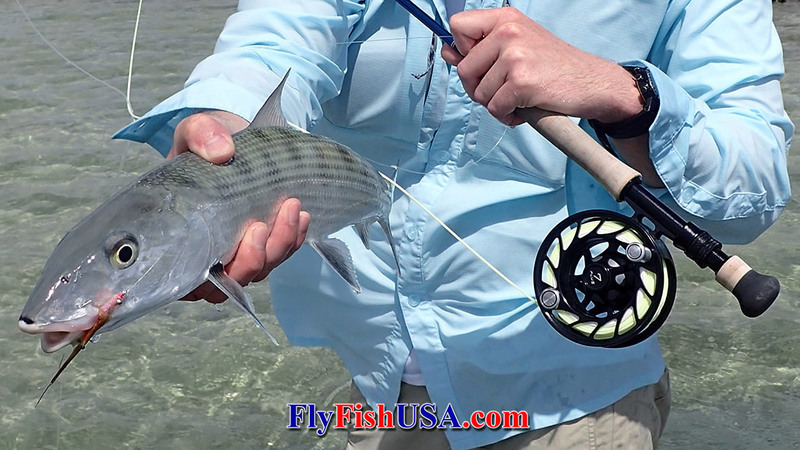 The Bonefish Buttah was originally developed specifically for the expansive flats system of South Andros Island in the Bahamas, where unlike some other popular bonefishing destinations around the world, the fish prefer the odd combination of large, yet light, flies. 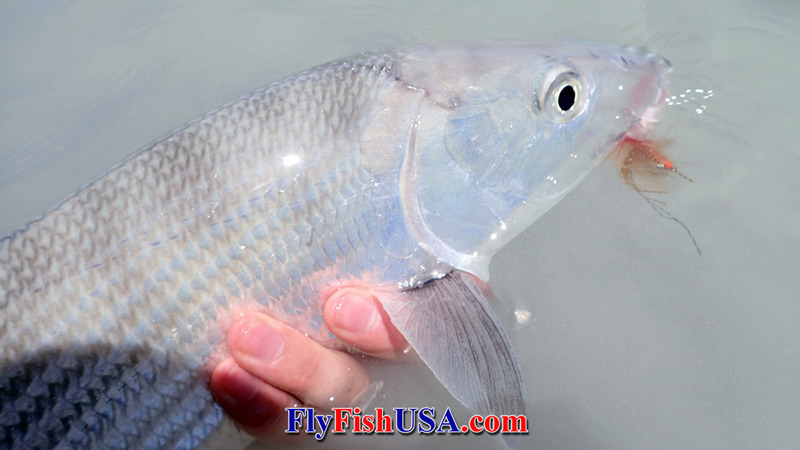 Therefore, designing a fly that produced a large, active profile in the water, while still possessing the ability to present softly in skinny water, became the ultimate goal at the vise. 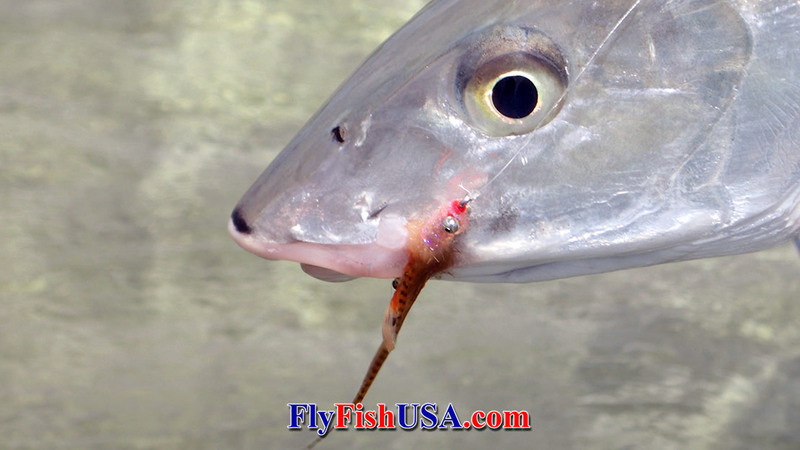 However, during the first week of testing on the Shrimptruder, it was evident that the rabbit fiber shoulders allowed an otherwise large fly to settle extremely softly in the water while offering an enticing, undulating movement in the water when stripped. What started as a bit of a joke, became something worth exploring. From there, the evolution of what is now the Bonefish Buttah took place. One rabbit collar tied using tying techniques most common with modern salmon/steelhead flies was incorporated at the back of the fly to create an extremely ‘shrimpy’ profile in the water. Extra rubber legs were added for added movement. 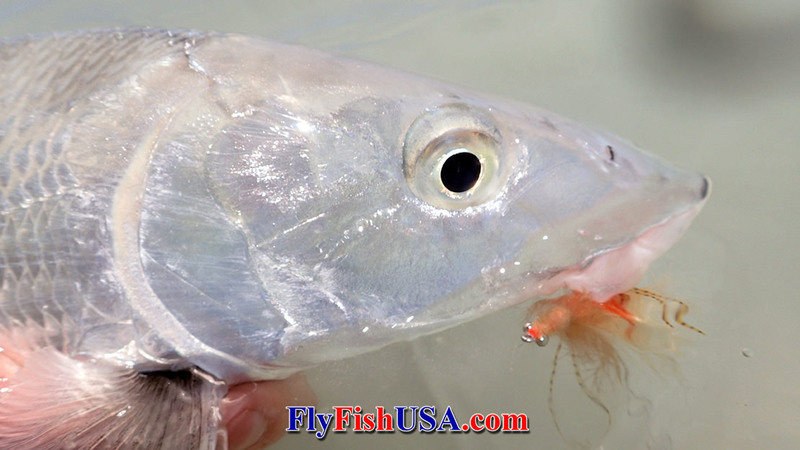 The body of the fly underwent a slight transformation as well, utilizing UV Tan Ice Dub, over hot orange thread wraps, which when wet, believe it or not, actually produces a vibrant lavender color present on some shrimp and crabs found in our waters. Since its completion, we’ve seen the Bonefish Buttah work under a whole bunch of water depths and light scenarios. However, we’ve been especially impressed at its effectiveness during low light conditions, which we attribute to its increased movement when stripped and bright body color. 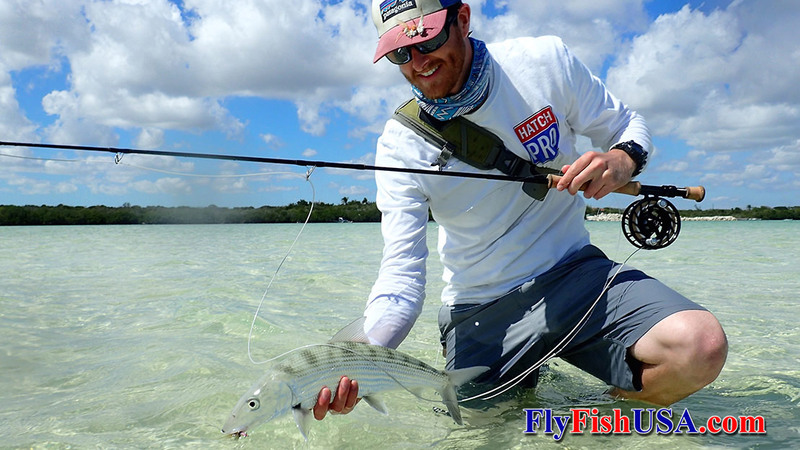 For South Andros, we’ve found the fly to fish best in sizes 4 and 2, however it is also available in a size 6 which we would anticipate fishing well in areas like Christmas Island, Belize, or other fisheries where smaller bonefish flies are the norm as well.